BRIGHTON, Mich. - SEMA 2013 has officially begun and the Ford display is anything but a disappointment. Among the 57 other vehicles that Ford has brought to showcase, Ford is showing off customized trucks at SEMA 2013. 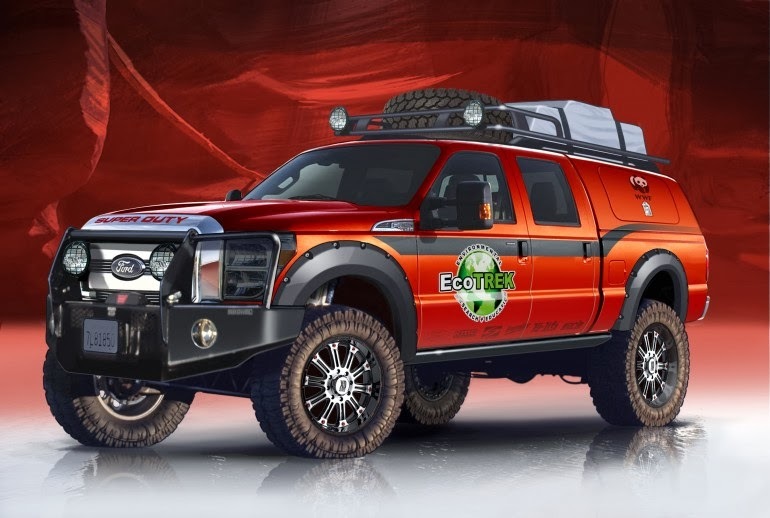 While there is a fleet of customized trucks on display, one of the vehicle's that captured our attention is the EcoTrek Ford F-350, also dubbed 'The Survivor'. This vehicle was designed with the end of the world in mind, as it provides a post-apocalyptic Ford owner with everything they could possibly need. First, the vehicle will hardly ever need to be filled up as it's outfitted with a 50-gallon fuel tank. Should you need fuel, there is a removable 75 gallon tank inside the vehicle's bed that will give the 6.7-liter V8 engine power for about 1,800 miles. Should you run out of gas, you can easily live out of the EcoTrek that doubles as a off-road camper. Inside the vehicle you'll find a roof shelter, stoves, a refrigerator, solar panels for power, sleeping bags, backpacks, and storage lockers. After you've packed your vehicle full of food and water, you'll be able to escape and survive at a moment's notice. Another vehicle that had Ford fans talking is 'The Hunter' aka the F-150 Backwoods Sportsman. 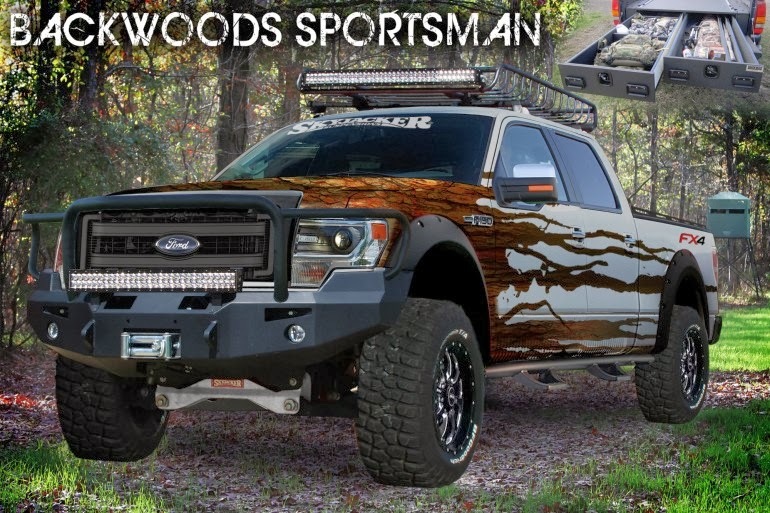 If you'd rather prepare for you weekend than plan for the end of the world, the F-150 Backwoods Sportsman is made with hunters and fisherman in mind. Designed to haul gear and kills, this vehicle will get you over even the most rugged terrain with its Skyjacker Suspensions 6-inch lift kit and Fab Fours Inc. rugged bumpers. Ford shows off customized trucks at SEMA 2013 - and boy, are they amazing! While these customized trucks might not be sitting on our lots, there are a variety of upgrades and accessories available for your Ford vehicle that can help you design a Ford to fit your lifestyle. To learn more about your options, stop by our White Lake Area Ford Dealership. We'd be more than happy to take care of any automobile need you may have, so come see us today!